Former Olympic champion Usain Bolt has tweeted in support of a Jamaican sprinter who won an astonishing silver medal at the Special Olympics World Games. 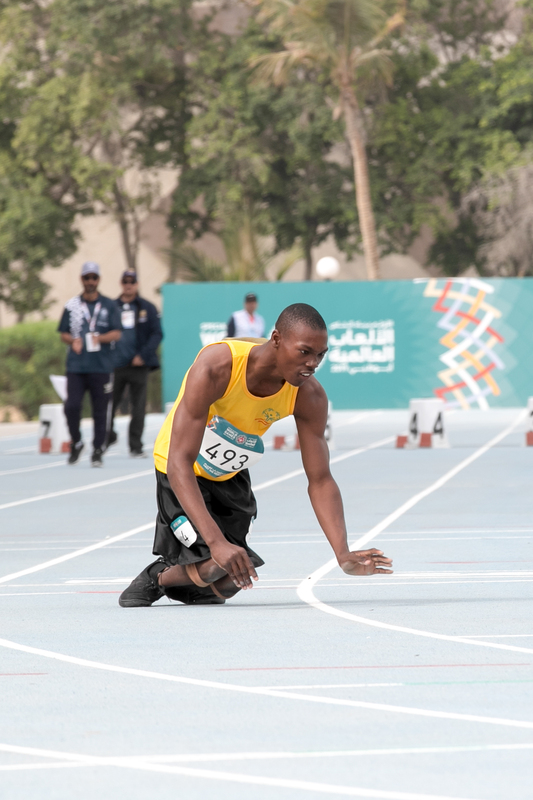 Kirk Wint took second place in the 50m run in Dubai, beating athletes from North Macedonia and Austria. Instead of running upright, Wint used his arms and knees to reach the finish line, and was only beaten by half a second. The eventual winner was Israel Malik Duncan of Special Olympics Trinidad and Tobago, coming home in a time of 14.65 seconds. The World Games hosts athletes with intellectual disabilities and promotes an environment of inclusion and respect. Olympic champion and world-record holder Bolt tweeted of his compatriot: “Kirk Wint… Jamaican Special Olympic athlete won silver medal in 50m dash at the Special Olympic World Games in Dubai. “Respect goes out to all Special Olympian #AnythingIsPossible #DontThinkLimit”. Wint also won bronze in the softball throw event. Jamaica have won more than 30 medals at this year’s World Games.